Parenting often provides daily challenging experiences. For example, everyone is buckled in the car ready to go and one child announces they need to go back inside to go potty. After getting 3 minutes down the road another child points out that he doesn’t have any shoes on. At this point you are running late and feeling your anxiety level increase. Although in the big picture these events are minor, they still cause irritation. These physiological responses would be appropriate if you were facing a life or death situation but aren’t appropriate for forgotten shoes or a last minute potty run. Practicing mindfulness exercises will help you live in the present moment and remain peaceful and relaxed. They will reduce your anxiety levels and help enhance concentration. Consider the following mindfulness exercises for parents which will allow you to develop the skills needed for those unexpected minor but stressful situations. Practice the skills when you are not in a stressful moment so they become automatic. Note that many of these mindful awareness practices were published by Myla and Jon Kabat-Zinn. Considered pioneers in mindfulness, this couple created many practices specifically for parents that improve parent-child relationships. Try to look at the world from the point of view of your child. Attempt to do this every day. Let go of your own world point of view for at least a few minutes. Consider how you sound and appear to your child. What would it be like to have yourself as a parent? Does this influence how you want to relate to your child (what you say and how you say it)? Look for ways to balance your needs and the needs of your child. Consider being selfless, where possible, and putting the needs of your child over your own. Listen carefully. Focus without distractions such as TV, social media, and phones. Be fully engaged as you listen to the stories your child tells. Attempt to see your child as perfect just as they are. Accept them even when it is difficult. Focus on what your expectations are for your child and how you communicate those expectations. Do you have their best interest in mind? Attempt the mindful walk experiment. While walking pay attention to your breathing and the way the ground feels under your feet. Observe your surroundings. Let other thoughts go and focus on the sights and feelings of the moment. Focus on your breathing. With practice this will become an automatic skill that you will just start doing in stressful situation. Attempt to practice all of these skills daily. It may seem difficult at first but with repetition you will become skilled. Eventually you will find yourself automatically engaging in these mindful behaviors. 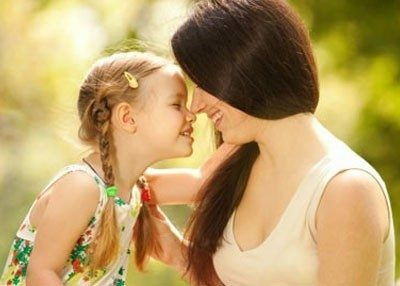 You will find your parent-child relationship improves as your responses to minor stressful situations become driven less by anxiety. We all want to live more mindfully. There are hundreds of free mindfulness exercises available here, and each one of them has something to contribute to your life. Learning to practice compassion, live in the present moment, and be grateful for the things in your life will go a long way toward improving your clarity, focus, and mood from day to day. However, as a parent, it’s not always easy to live mindfully. We all have stressors to deal with that are unavoidable: our job, our relationships, and so on. Frequently, though, our children can be a source of stress. Sometimes, certain approaches to mindfulness might feel less than relevant when we’re faced with the challenge of getting our kids ready for school, making dinner for our children after a long day at work, or getting up in the middle of the night repeatedly with a child (knowing that we’ll be exhausted tomorrow). It’s important to remember that mindfulness isn’t just something we compartmentalize into whatever time slot happens to be the most convenient for us. Mindfulness is something that we can carry with us throughout the day, each and every day. Sure, it’s helpful if we’ve found fulfilling work and come home at the end of the day to greet our children in a good mood. But, no matter what we do, we’ll always be faced with challenges. And, oftentimes, our children can be a source of challenge. With our busy schedules and high stress jobs, it’s easy to lose sight of our children’s experience. In addition to practicing other mindfulness exercises, there are a handful of activities that can help us better identify with and understand our children, and avoid frustration. Consider what the world looks like to your child or children, and how they might perceive you. Practicing empathy in this way can help you to better manage feelings of stress and anxiety in the moment. Can Mindfulness Meditation Help You Sleep Better?